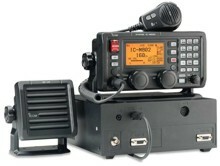 The AT 140 matches any frequency on every HF marine band. For example, the tuner matches a 7 m; 23 ft long-wire antenna across 1.6-30 MHz. Just push the [TUNE] switch on the transceiver, and the AT 140 adjusts immediately to the minimum SWR of any frequency on any HF marine band. 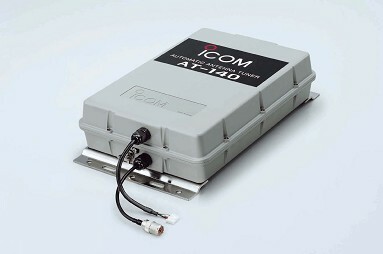 The AT 140 allows you HF operation where antenna element length is restricted due to space. The AT 140 is housed in a durable, completely weather resistant ASA case with a rubber gasket. To decrease the tune-up time, the AT-1 40 automatically stores the matching conditions for up to 45 frequencies. Re-tuning for a memorized frequency takes approx. 1 second. Even if the AT-1 40 is not used for approx. 1 week, the built-in super capacitor backs up contents of the 45 memories. The AT-1 40 emits low output power during tuning. This feature reduces the possibility of causing interference to other stations. The tuner through function is built into the AT-1 40. This function helps improve receiver gain, depending on the antenna element length used, and operating frequency.